This weeks food is korean! But it is in Jamaica!! I was surprised that there was even a Korean restaurant in Jamaica! Because the restaurant is still new and under development. The food was interesting and not like America, the ingredients were different too! 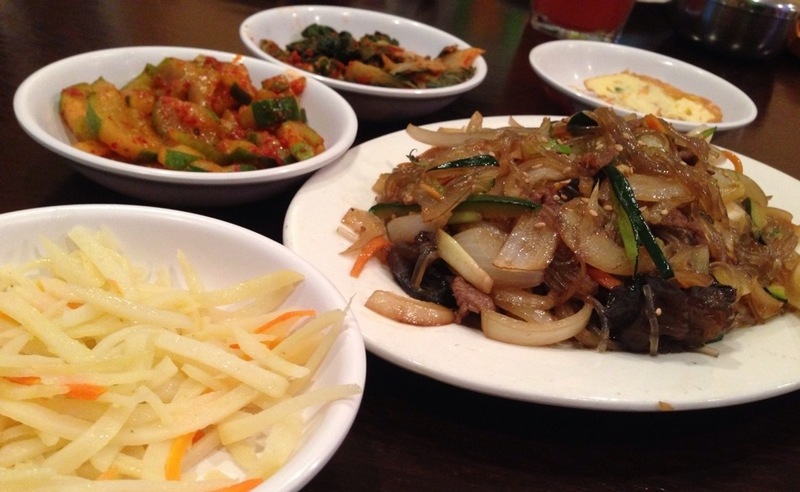 Here is the japchae with some side dishes. I hope the place gets more popular so that they could have more options.